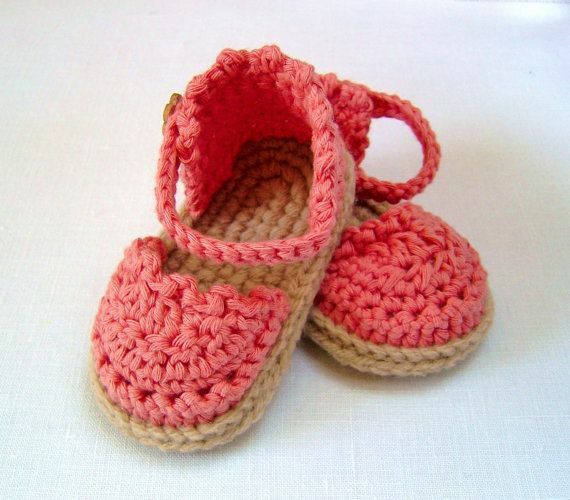 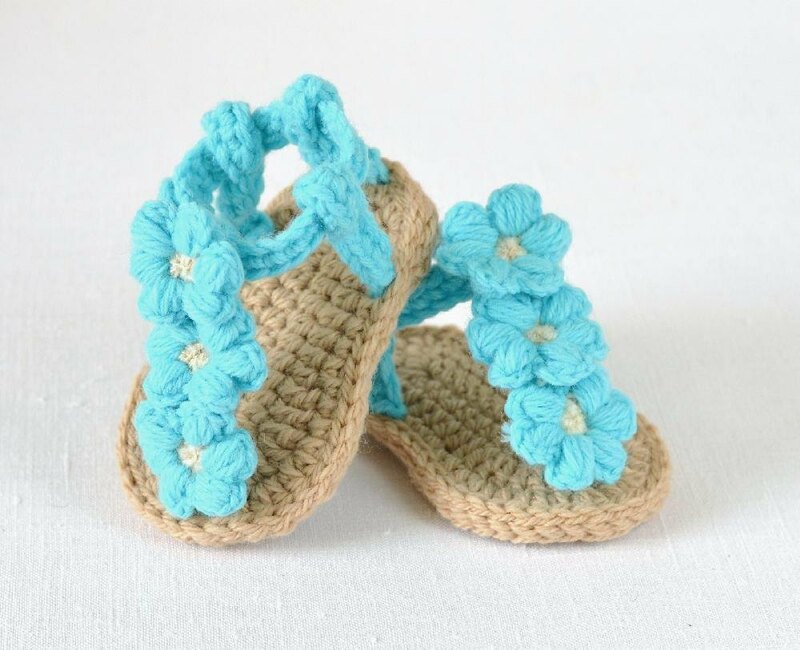 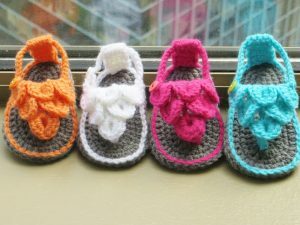 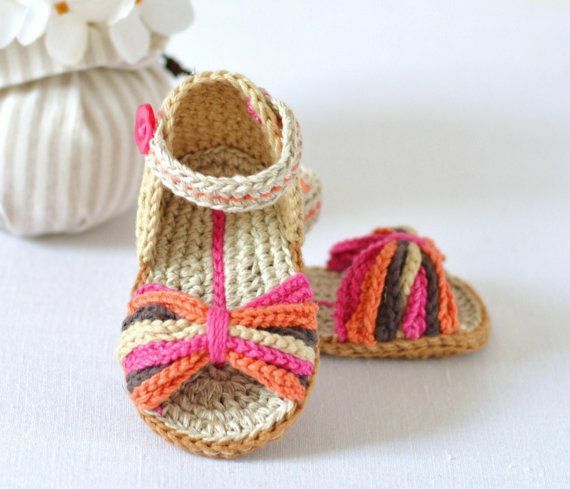 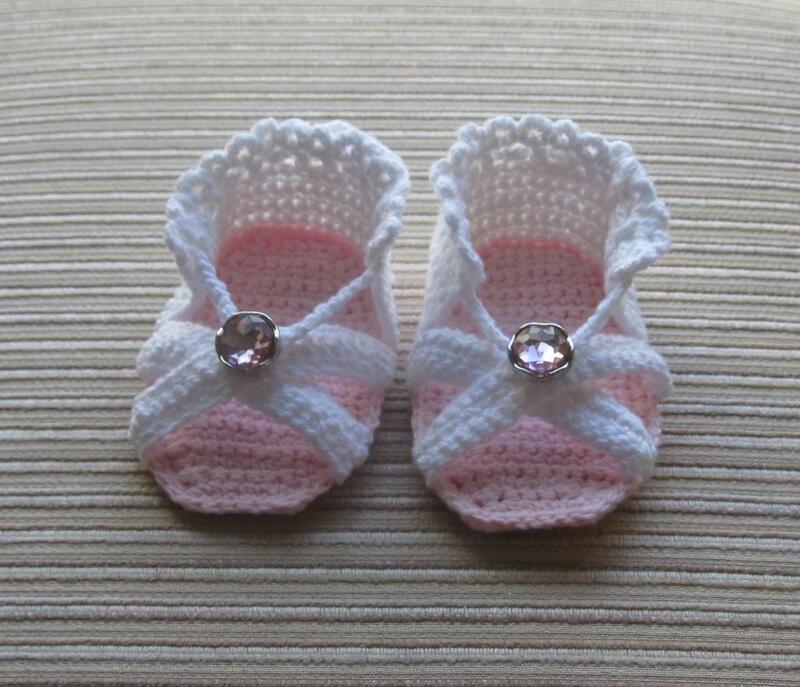 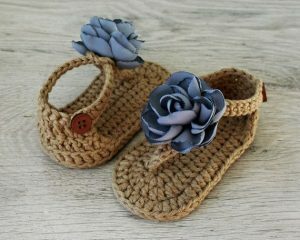 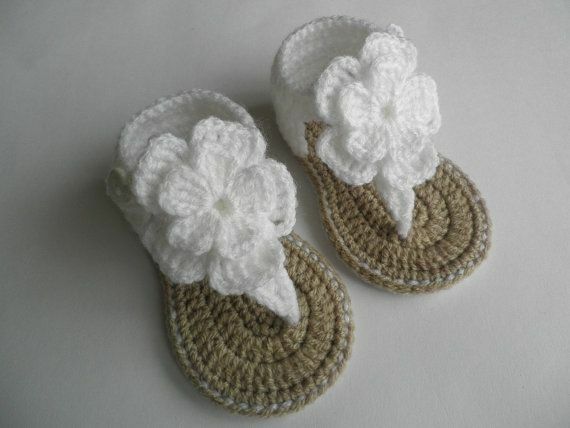 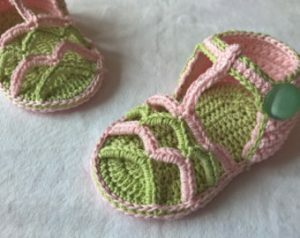 Crochet shoes mean extra comfort without hampering the style, so if you are looking for a pair of cute shoes for your cuter babies, then crochet shoes are the best. 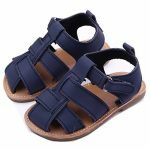 Take a look at the colorful shoes on the following list and make your careful selection. Every design has its own charisma that you won’t find in another one. A set of t-straps sandals designed with four shades is a nice option for your daughter. 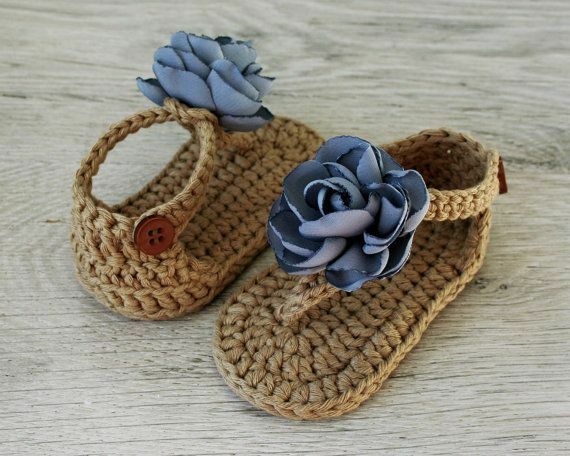 For each occasion, she can wear each pair of shoes without having to repeat frequently. 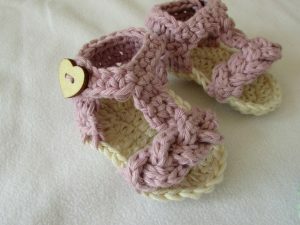 Shoes with a combination of lavender and beige look super stylish. 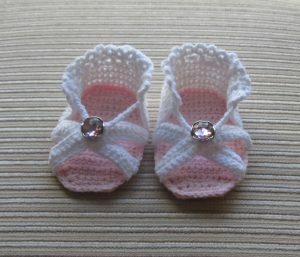 The heart-shaped button enhances the entire appearance of the pair. 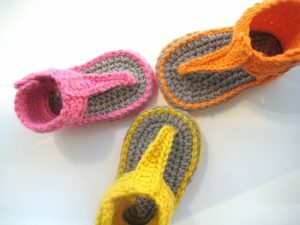 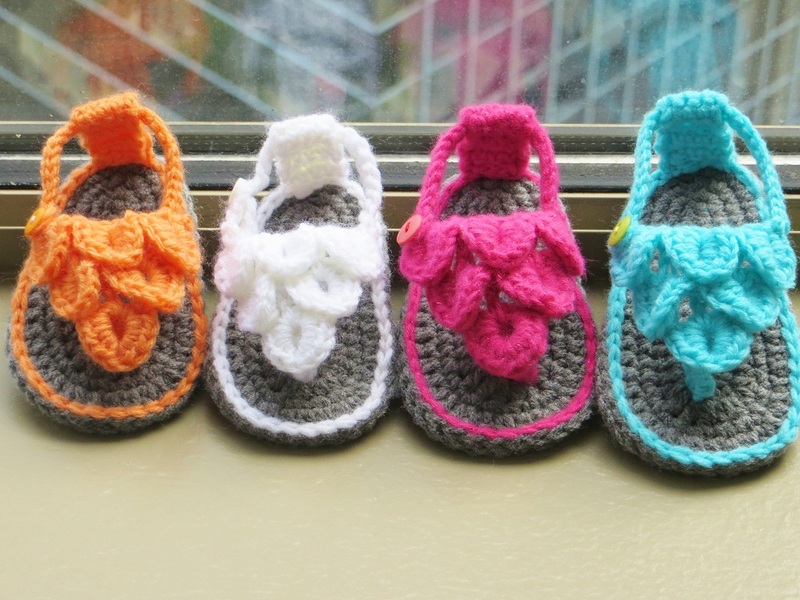 Multicolored baby sandals made of fine crocheting skills will accentuate the sweetness of little feet. 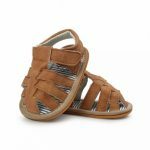 The side button and the t-strap feature are both responsible for making this sandal a favorite of children. 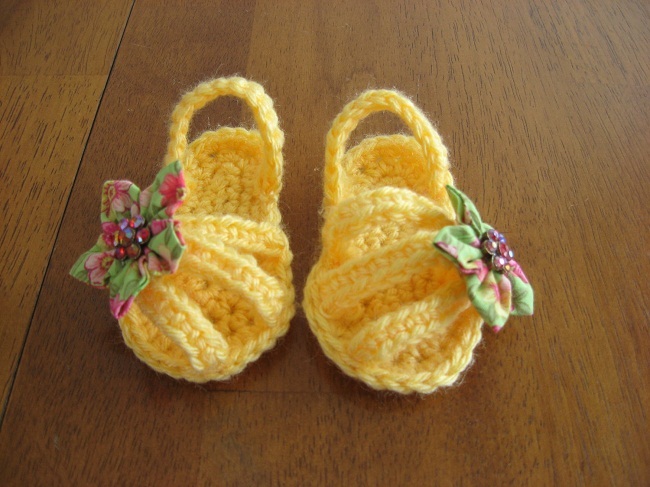 One Response to "Crochet Baby Sandals"